It got to the point where White Noise was just noise, the massive [ly annoying] single that followed Latch from Disclosure’s debut album Settle. However, along with Latch and You & Me they are all still great singles, singles that illustrate the potential Settle had. Disclosure had a lot to live up to in releasing their debut effort, they’d tied down spots at Glastonbury and Coachella to name a few as well as three massive singles. What’s great about Settle is, as unfortunately is the case for lots of debut albums, the lead singles aren’t even the highlights. When a Fire Starts to Burn is a brilliant first track to introduce the sound and feel of Disclosure‘s album, an interesting sample of motivational speaker Eric Thomas is cleverly blended into a layered beat that takes over his vocals to demand attention, then brilliantly fuses the two together. F For You showcases the vocal ability of Howard himself and is a great track to slot in between the two lead singles and Defeated No More and Grab Her follow through with early opinions of a great album. A very positive point of Settle is that the Disclosure brothers have enlisted the help of strictly British talent to help with the album’s execution. This is a great move for up and coming acts such as London Grammar, Jessie Ware and Sam Smith who can pat themselves on the back for being part of a great project while also gaining some publicity. It’s also great to see forgotten girl Eliza Doolittle back in the studio. Disclosure have created a brilliant album that the British electronic scene is in desperate need of. Without a pioneer of the genre since maybe Fat Boy Slim or The Chemical Brothers, Disclosure seem to have broken the seemingly impossible task of creating a credible, well executed album (that also got to number 1) without becoming a one hit wonder. Expect a high profile, guest filled sophomore album to follow but that will be far from a sell out if Settle is anything to go by. 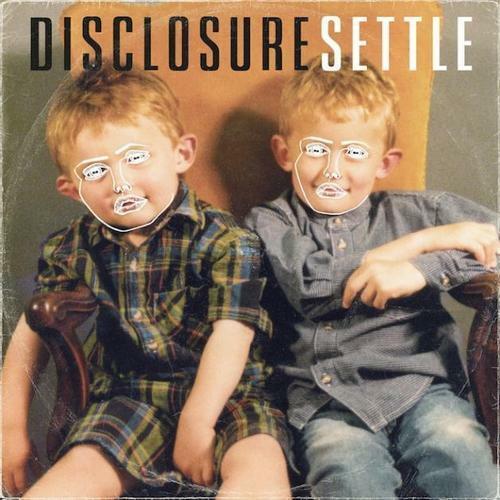 Disclosure have proved they have the ability to craft an excellent body of work that I’d recommend to anyone.